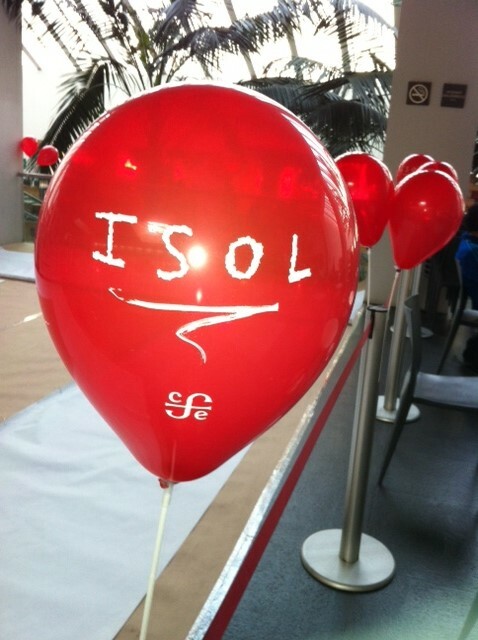 Before going to the international book fair in Guadalajara, the award office and Isol spent two days in Mexico City to meet media and to lead workshops with children. The first day consisted of interviews with newspapers and Tv channels in the morning at the book shop la libreria Rosario Castellanos, owned by Fundo de Cultura Economica. This was followed by a public program, which turned out to be a huge success. The characters from Isol’s Vida de Perros. 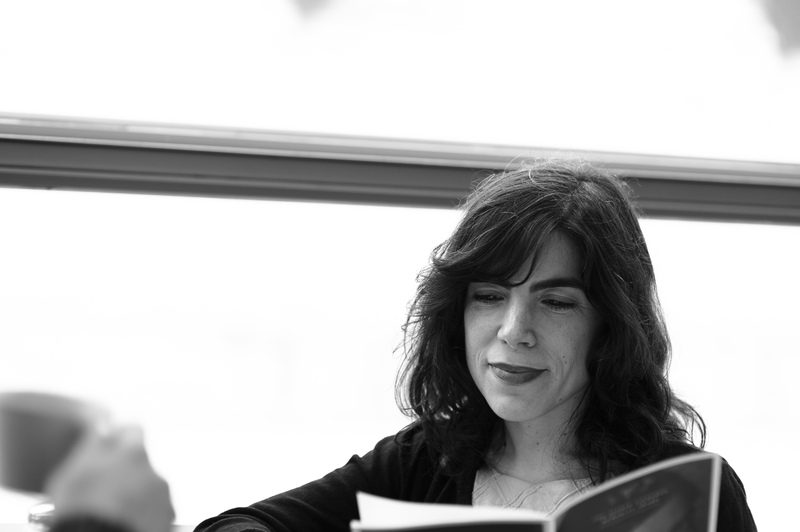 The Astrid Lindgren Memorial Award in children’s and young adult literature was presented this year to a writer/illustrator whose work is just becoming known in the United States, the Argentinian picture book artist Marisol Misenta, or Isol. The Lindgren prize, or ALMA, was established in 2002 to honor the memory of the author of Pippi Longstocking and recognize the achievements of writers, illustrators, and others working in her spirit on behalf of children. Funded by the Swedish government, ALMA is administered by the Swedish Arts Council, which appoints a standing committee of twelve jurors to choose winners from a roster of nominees submitted by some four hundred accredited organizations from around the world. With a cash purse worth close to one million dollars, ALMA inevitably prompts comparisons to the Nobel Prize in Literature (notwithstanding the Hans Christian Andersen Award’s prior claim to being the juvenile book world’s counterpart to that loftiest of honors). According to Larry Lempert, director of Stockholm’s International Library and chair of the ALMA selection committee, “In Sweden, many people wonder why Astrid Lindgren did not win the Nobel Prize.” Memorializing Lindgren in such grand style by naming an award after her has perhaps proven to be the next best thing. Two of the children’s book world’s iconic figures, Maurice Sendak and Austrian writer Christine Nöstlinger, shared the inaugural 2003 award. Subsequent laureates have included artists and writers from four continents, some of whom (Katherine Paterson, Philip Pullman, Shaun Tan) were already household names to American readers, while others (the Brazilian fiction writer Lygia Bojunga, for instance) were not. ALMA jurors have twice given their nod to institutions rather than individuals, awarding the 2007 prize to the Venezuelan literacy organization Banco del Libro and the 2009 ALMA to the Tamer Institute for Community Education in Ramallah, Palestine. Isol, who was born in 1972 in Buenos Aires, is the illustrator of over twenty-five books, eleven of which she also wrote. She has worked as a commercial artist and editorial cartoonist and maintains a flourishing second career as a singer and recording artist of both pop and classical music. 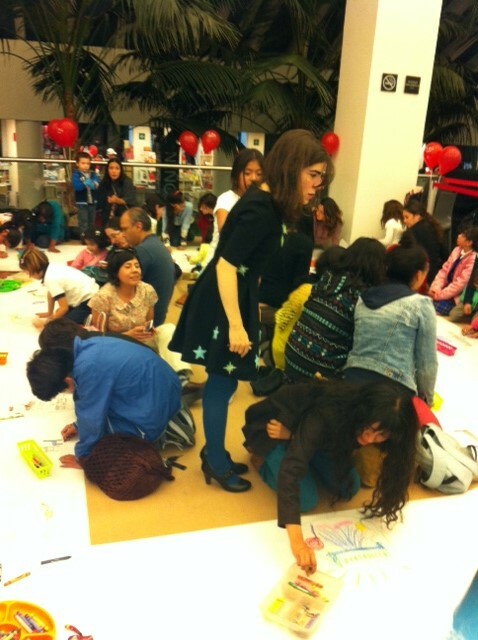 Her picture books have been published in twenty countries. At present, five are available in English, all from Canada’s Groundwood Books. She is the first ALMA winner not to have had any books in print in Swedish at the time of the announcement this past March, though by the day of the award ceremony two months later, that situation had been rectified. The two most celebrated Argentinian writers of the twentieth century — Jorge Luis Borges and Julio Cortázar — share with Isol what the artist, in a conversation I had with her in Stockholm this May, spoke of as an Argentinian obsession with the role of chance in every aspect of life. Borges’s great short story “The Library of Babel” envisions a universe stocked with books generated from every possible letter and word combination — wisdom and nonsense shelved side-by-side in no discernible order. Cortázar’s best-known novel, Hopscotch, unfolds along multiple narrative pathways from which readers are free to choose, each one leading to a different ending. For Isol, childhood is itself just such a labyrinth. In her open-ended, slyly playful picture books, she presents young readers with a distilled version of the chaos they confront daily, the better to prepare them to live in a world largely woven from riddles. During the last week in November, the international book industry gathers in the city of Guadalajara, located in the western parts of Mexico. 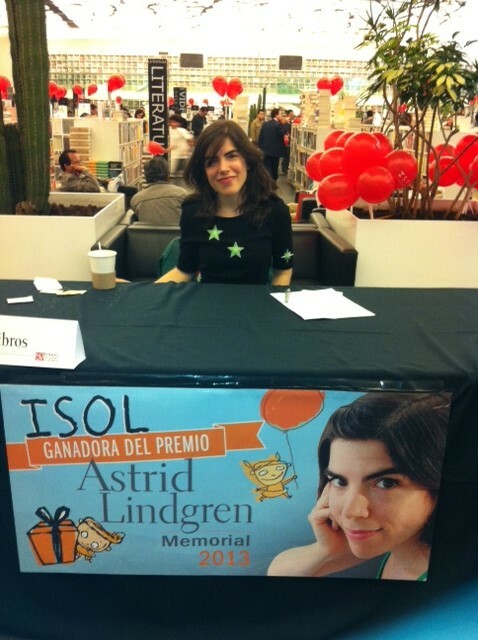 The Astrid Lindgren Memorial Award participates as usual, now with this year’s laureate Isol.this year’s laureate Isol. 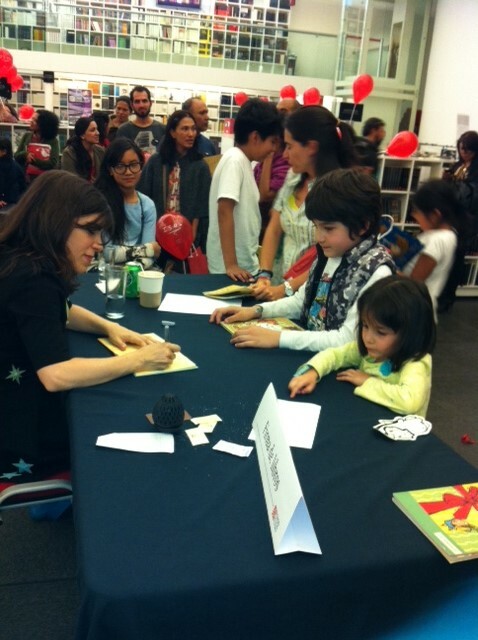 Seminars, books signings and workshops are part of the program in Guadalajara. But the purpose of the visit is not only to meet the public, but also to meet representatives of the nominating bodies. 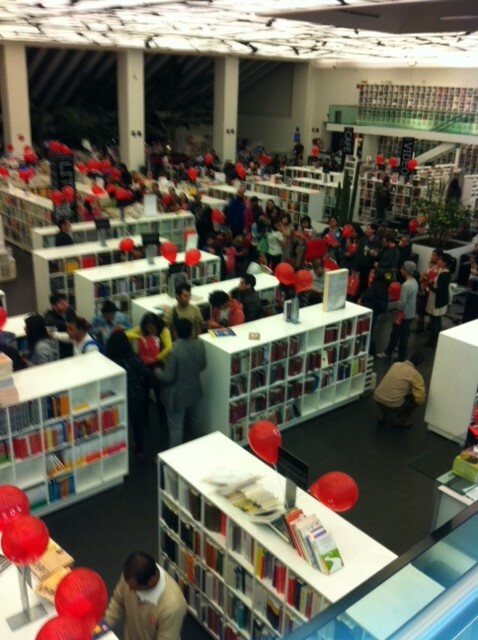 The Guadalajara visit is preceded by a visit to Mexico City where Isol participates in public activities at la librería Rosario Castellanos (bookshop) and the Biblioteca Vasconcelos (library). The International Book Fair in Guadalajara is the world’s largest Spanish-language book fair and will run between November 30 to December 8. The fourth year of the campaign, Read to Me Babba, was remarkable! This year, Tamer Institute did not bring any idea about how to make an activity within this campaign inside libraries. It was all brainstormed and implemented by them. 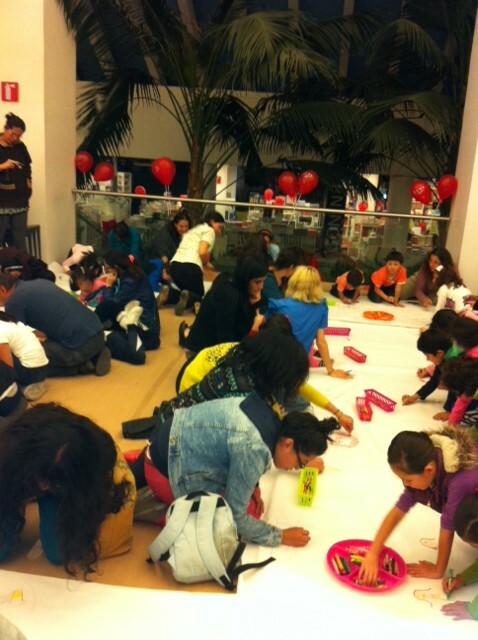 At one library, 60 parents of 30 children were present in one of the activity. Each of the children had one or two parents with him/her, contrary to past years, as some parents were missing. 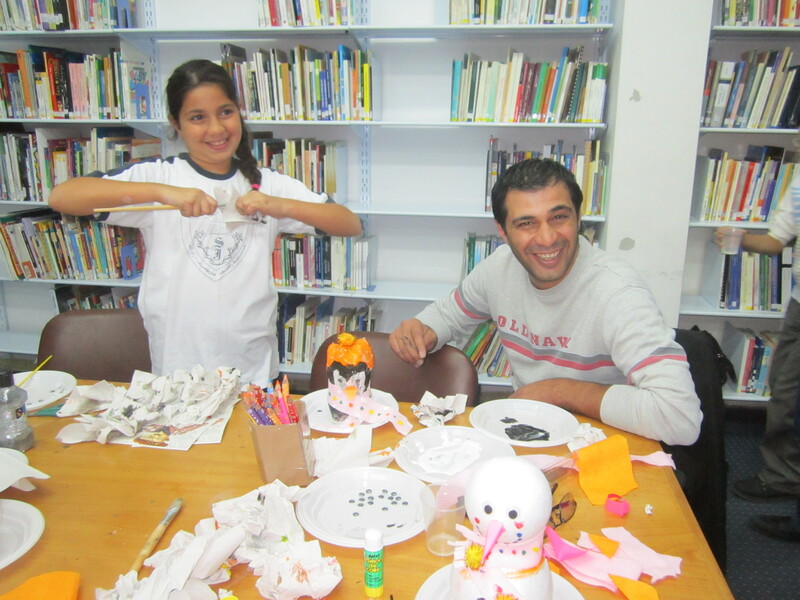 During this activity, the librarian decided to activate the family about any remaining found at home through a handcrafting workshop to create character that tell a story! Fathers were surprised of the connection created with their children. One parent said ‘ I never felt as comfortable with having a child, where I don’t have to worry about feeding, but about the stories we create together’. 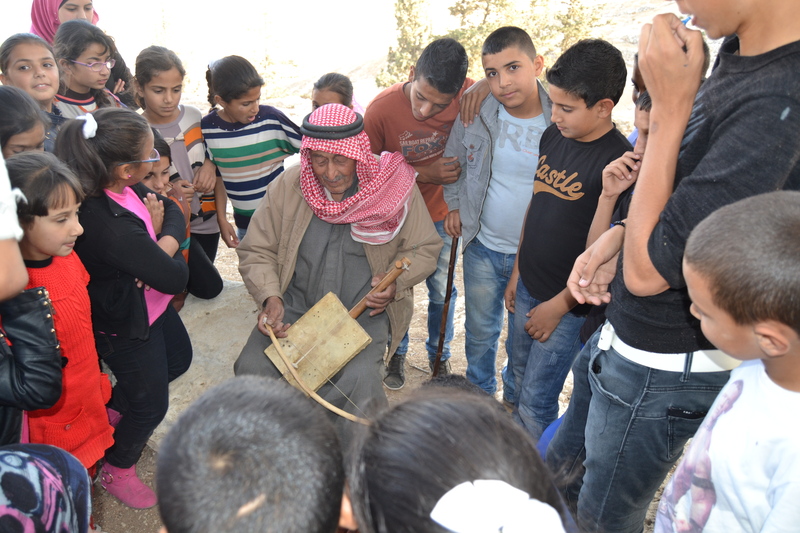 In Nablus, the activities were organized at the old city, where parents and children met in an atmosphere of love and caring. 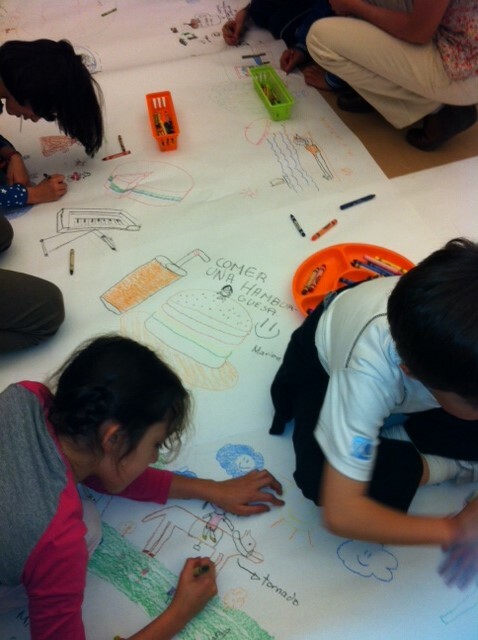 Their children prepared sketches with messages to convey to their parents, and then they all involved in an activity of redoing puzzles. In Bethlehem, Parents and children when for a walking trip all the way up to the Cremisan Monastry, where plantations are widely spread, yet uprooted by the Israeli occupation to build the Annexation and Separation Wall. The natural and human history was all revived by a guide, for all parents and children to know and share expressed feelings. In Jerusalem, the main activity started at the Old city, where a hospices is established for charity, where Palestinian families have been joining around to give and to participate with others. 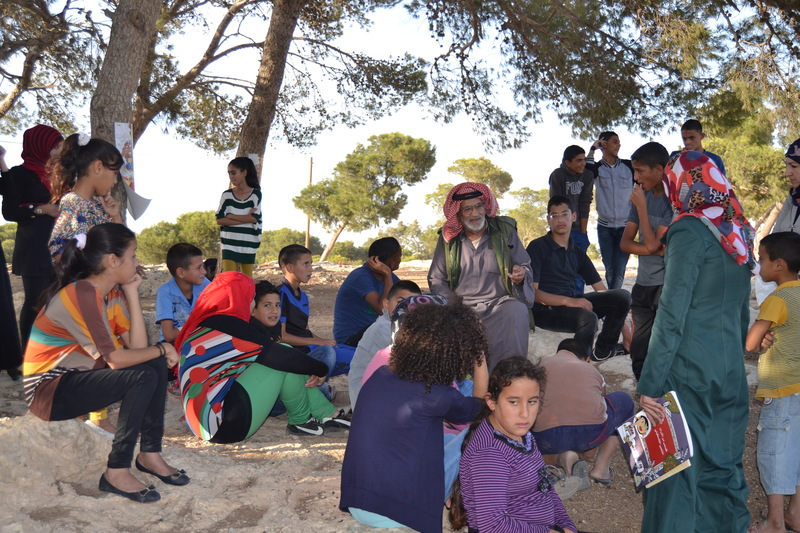 The activity included a walking trip around the old city, with a storyteller stopping with participants at various stops to tell a historical story about the place they stop at. In Gaza Strip, at Shouka village, where a border line with Egypt, 170 parents joined the activity. One of the parents, illiterate, was determined to participate. He told the children a story about life, even though he can’t read or write. Join us from where you are, whether outside or inside Palestine, children need parents to communicate and books are one important mediator! Today, on Astrid Lindgren’s birthday, publisher Rabén&Sjögren presented the winner of their Astrid Lindgren Prize: Katarina von Bredow. 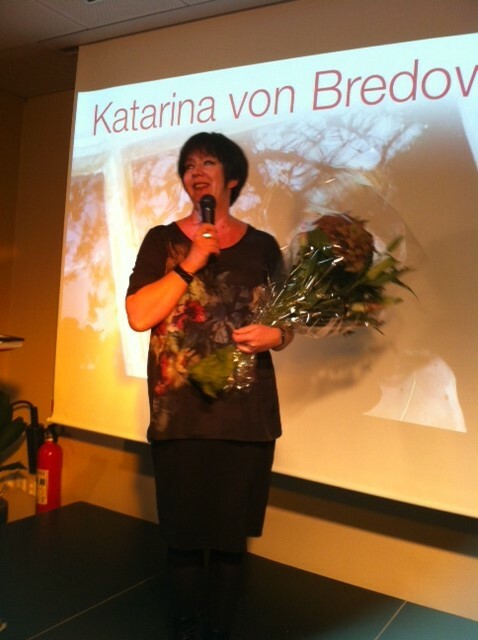 Katarina von Bredow is an author of children’s and young adult books and described as one of Sweden’s most beloved authors today. She has written thirteen books, and her latest work, Du och jag (You and Me, our transl) was published in September. Earlier this week, she received the Emil-award. The Astrid Lindgren Prize was instituted in 1967 to mark Astrid Lindgren’s 60th birthday. It is awarded every year for meritous authorship within the realm of Swedish literature for children and young adults. The prize money is SEK 50 000. Last year author Katarina Kieri was awarded the Astrid Lindgren Prize. The 2014 laureate will be announced in Stockholm on March 25! From the Astrid Lindgren archives at the National Library. The Astrid Lindgren Memorial Award 2014 will be announced on March 25 at the National Library in Stockholm, Sweden. 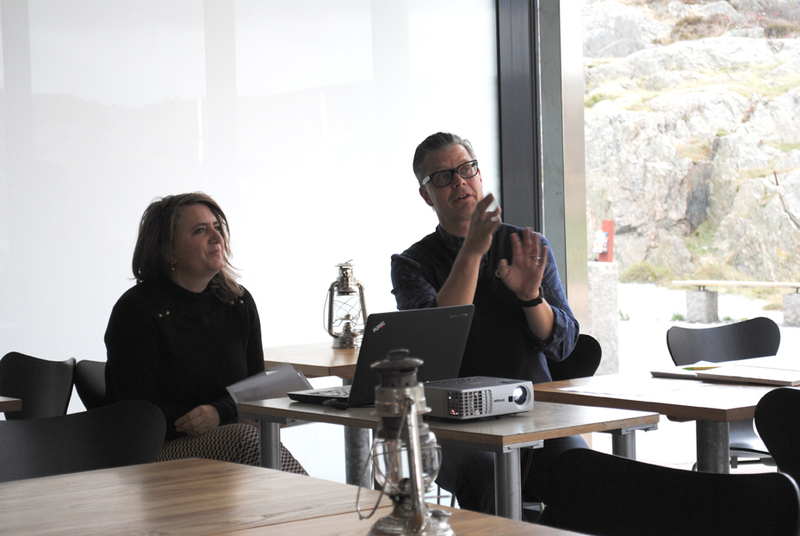 – Our ambition is constantly to develop our work, says Director Helen Sigeland. We are next year looking forward to announcing the world’s largest award for children’s and young adult literature at the National Library of Sweden. The announcement will be broadcast live on http://www.alma.se and streamed by link to the international children’s book fair in Bologna, Italy. – We want to accomplish an interesting and accessible program focusing on the 2014 laureate and the works of Astrid Lindgren, says Helen Sigeland. 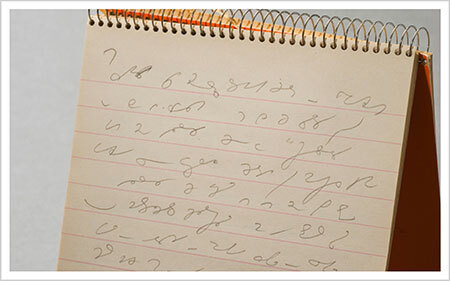 The National Library keeps the Astrid Lindgren archive, which is on the UNESCO Memory of the World Register since 2005. The candidates nominated for the 2014 award were presented at the Frankfurt Book Fair on October 10. The list of candidates consists of 238 nominees from 68 countries. The list is available here. 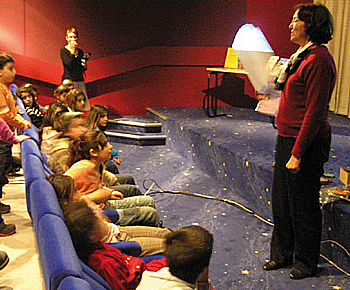 Authors, illustrators, storytellers and reading promoting individuals and organisations may be nominated to the Astrid Lindgren Memorial Award. The award ceremony will take place (as usual) at the Stockholm Concert Hall on June 2, 2014. 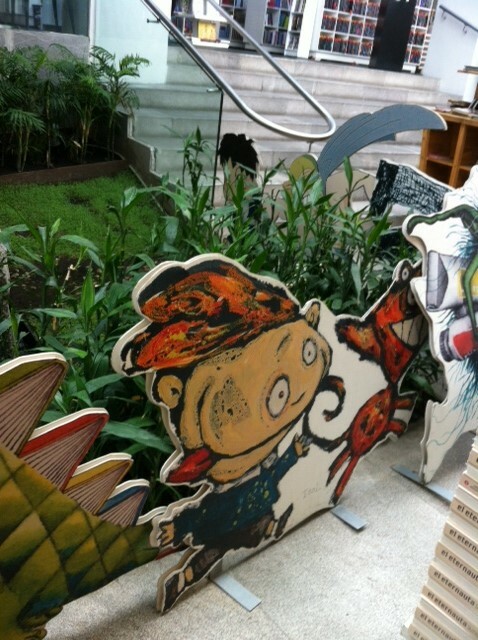 Today, the International Library in Stockholm opens their annual Children’s book week. 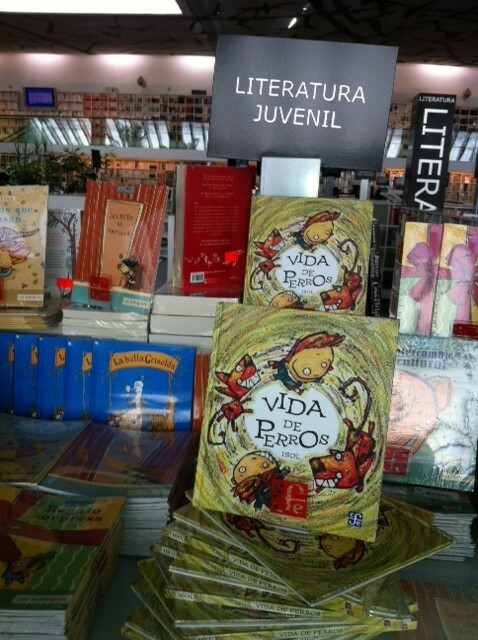 The aim of the week is to provide opportunities for children who do not have Swedish as their mother tongue to meet “their” authors and to discover the richness in being able to read in several languages. 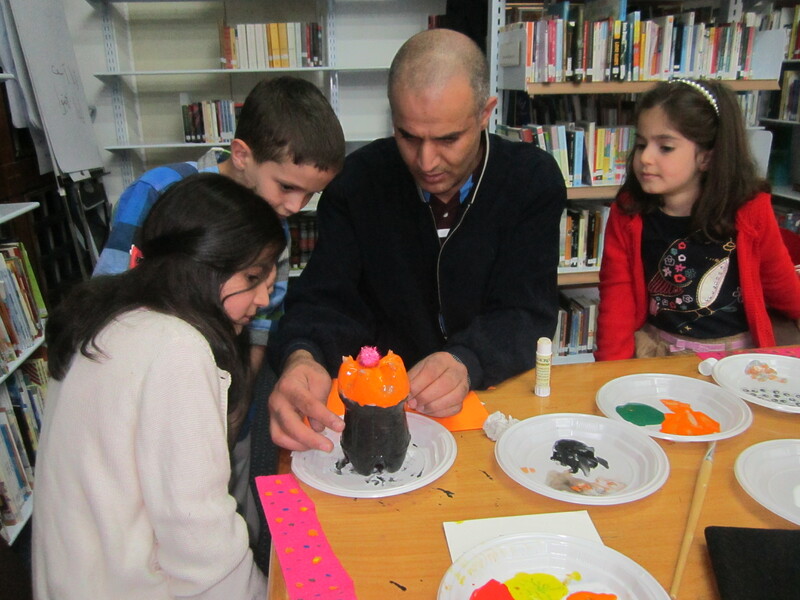 This year, four authors participate in the program and visit schools and librarys in Sweden; dr. Muri Bunanta from Indonesia, Roberto Piumini from Italy, Jawahir A Farah, Somalian writer living in London, Sinan Hallak, illustrator from Lebanon, and Fatimah Sharaf al-Din, from Lebanon. Tonight at 5:30 pm there´s an open seminar at the International Library with ALMA jurymember Mats Kempe as moderator. More about the program here. Link to the International Library here. Kitty and Jonte Nynäs at the Nordic Watercolor Museum. Yesterday Belgian illustrator and author Kitty Crowther visited the Nordic Watercolor Museum in Sweden to talk about her book Le petit homme et Dieu (approx. The Little Man and God, our transl.). Her visit was part of the museum’s work towards exploring the potential of pictorial storytelling. Le petit homme et Dieu is about the friendship between a boy and his little unusual friend – God. Does God exist? If she/he exist – who is she/he? – There are so many ways to believe, Kitty told the audience. I believe in everything you can´t see. She also talked about the fact the ending of her stories is not always certain when she starts writing them. –I do have an idea, but I cannot formulate it until I´m actually there. And I don´t create stories, the stories choose me. 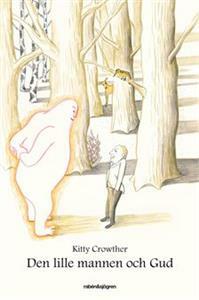 Kitty Crowther received the Astrid Lindgren Memorial Award in 2010. The Swedish edition (Rabén&Sjögren) Den lille mannen och Gud.